With the help of Amasty Advanced Permissions for Magento 2 and 1, you will be able to organize the work of your admins in the most efficient way. The extension provides the ability to restrict specified areas for certain administrators so that they will see and edit only particular products, categories, store views, and pages. 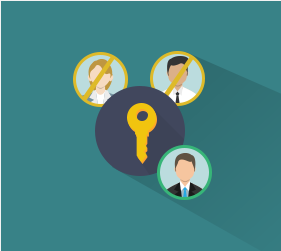 As a result, you can effortlessly create and spread admin roles with a custom set of permissions. It is especially useful if you manage a multi-vendor store, a storefront with several store views, or a website with a complicated structure. manage access to various CMS elements. Thus, as a super-admin, you can restrict the access to specific products; categories; store views and websites; product attributes; CMS elements; dashboard stats; and reports. 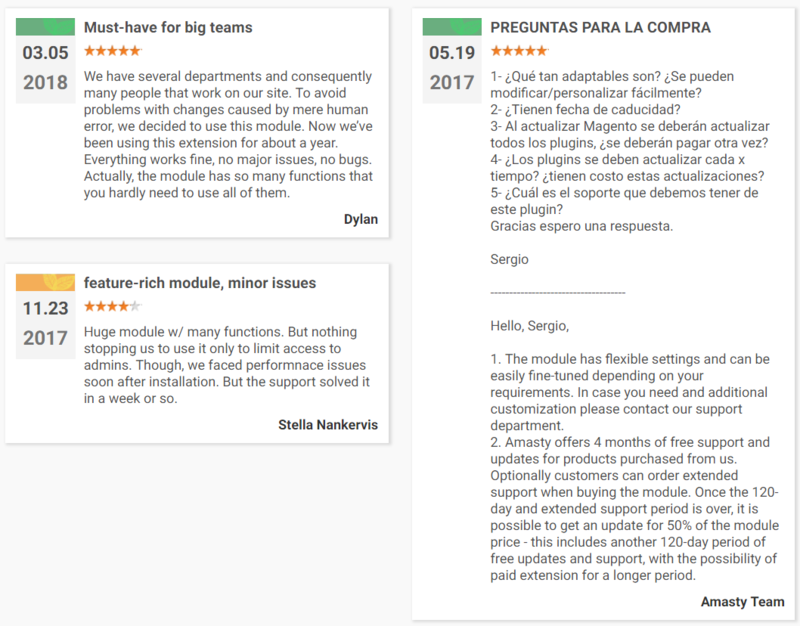 Let admins view/edit a product owner. While restricting access to reports tab, you can let your admins see the information they really need. As a result, your store data will be safe and properly updated. Furthermore, it is possible to customize the display of dashboard statistics based on the store view and website permissions. Consequently, your managers will get only relevant data, and you will keep important store information protected. As for separate category management, the extension lets specific admins manage only particular categories. At the same time, users see all store categories but can edit only those assigned to them. Note that it is possible to both allow and deny deleting or creating categories. Besides, you can lock access to certain CMS elements, such as pages, blocks, or widgets, as well as specified product attributes for different admin roles. Another essential feature of Amasty Advanced Permissions for Magento 2 and 1 is the ability to change product owner. In default Magento, admin becomes the product owner after creating it. As a super-administrator, you can quickly assign a different product owner right on a corresponding product page. All user roles are gathered in the grid. You can edit each role or create a new one on the Roles grid page. Let’s see how a new role can be created. There are eight tabs of options to configure: Role Info; Role Resources; Role Users; Advanced: Scope; Advanced: Categories; Advanced: Products; Advanced: Product Attributes; Advanced: Admin User Role. In Role Info, you specify a role name and password for user identity verification. 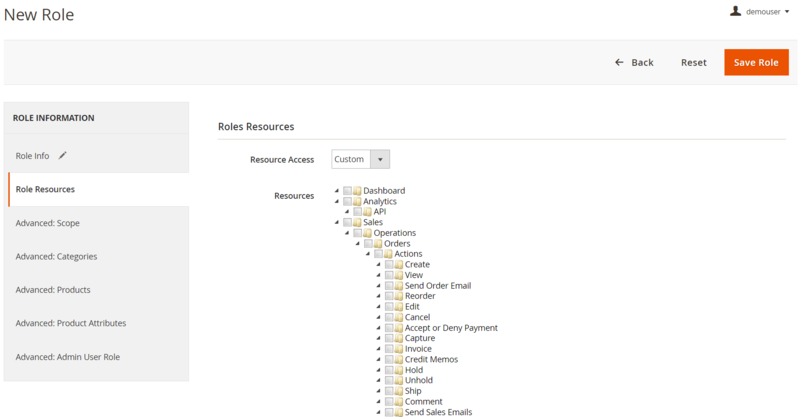 In Role Resources, choose items from a resource tree to which you want to grant access to the admin. To open the Role Users tab, click on the Save Role button after selecting role resources. In Role Users, there is a grid with all users listed. 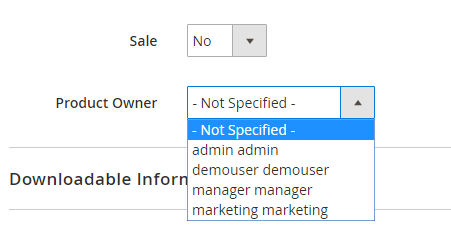 Specify a user to which you want to apply the role. 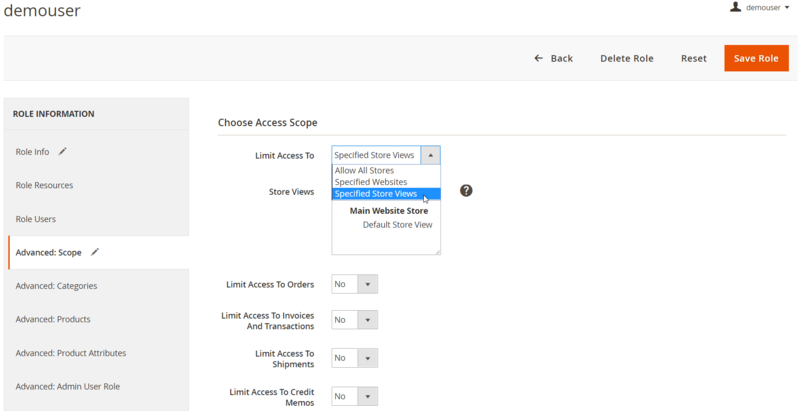 In the Scope tab of the advanced settings, you can limit access to certain websites or store views, as well as some sections of a web store, like Orders, Invoices and Transactions, Shipments, and Credit Memos. 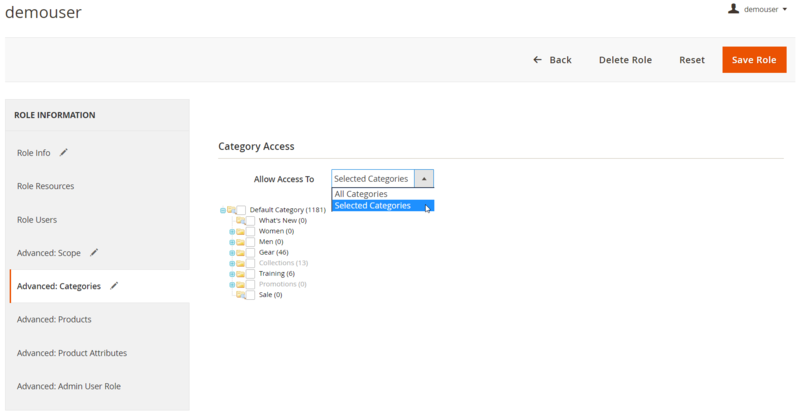 The Categories tab lets you allow access to specific categories only. Choose them in a category tree. The same is about Products. It is possible to allow access to all products, selected products, own created products, or users in the same role. For selected products, there is a grid where you can choose all necessary items manually. In the next role settings tab, you decide on granting access to the specified product attributes. 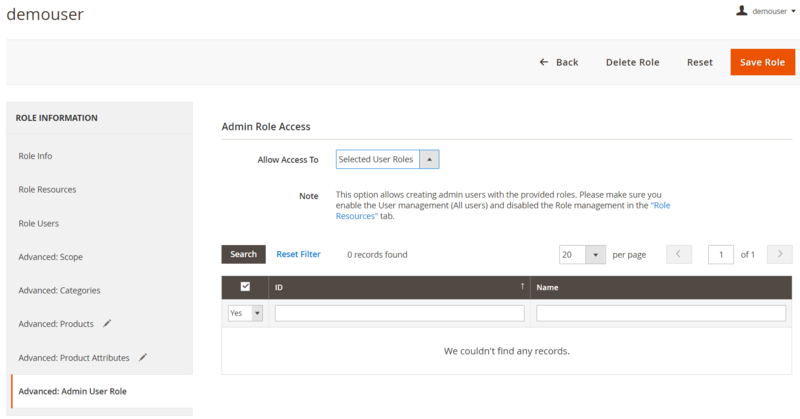 In the last section, you can select roles within which a current user will be able to create new admin users. 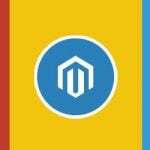 Besides, the Magento 2 advanced permissions module allows creating sub-admins and granting specific roles to them. You can do it under System → Permissions → All Users. 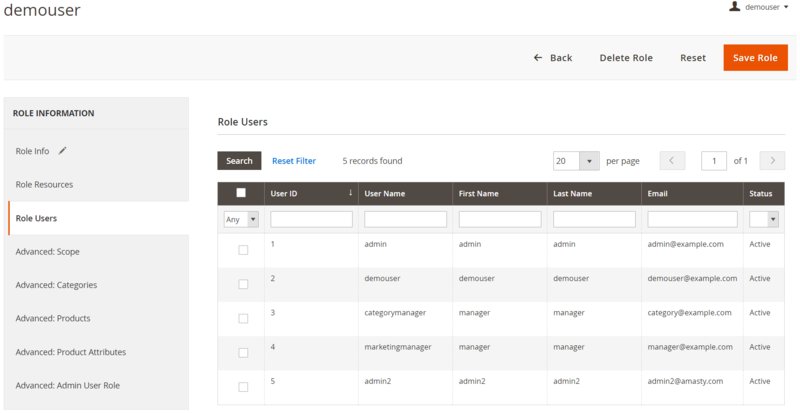 Now it is possible to set the same product scope for all admin users within a role. Now it is possible to regulate the access of admin users to creation and editing of new roles. 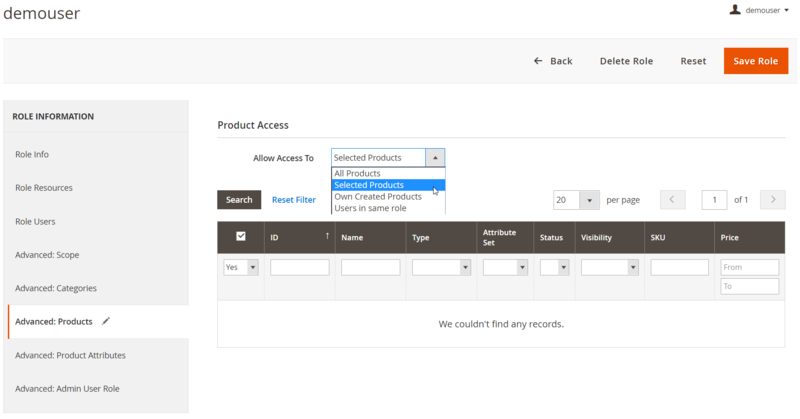 New options: limitation of access to product subcategories. 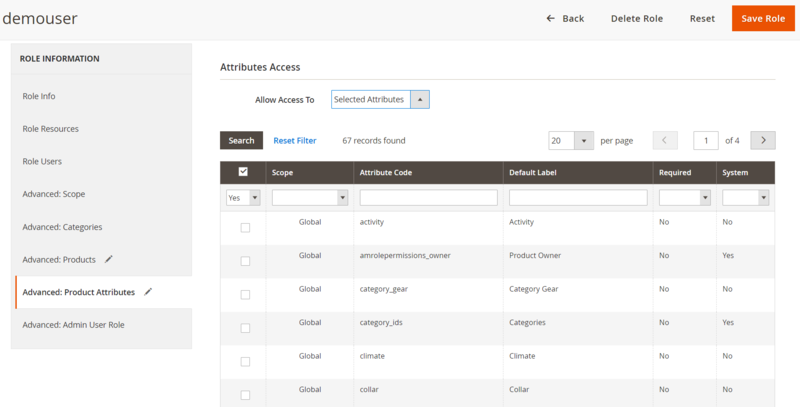 Now you can control the access to individual attributes. Restricted websites and stores are hidden from the product page now. Amasty Advanced Permissions for Magento 2 and 1 is the best supporting tool for running a multi-vendor marketplace. If you have a standard ecommerce website with several administrators working there, the extension can be helpful as well. Due to the ability to restrict the access to certain backend elements, the module helps to reduce the influence of human factor, as well as increases the productivity of store managers. As we’ve just illustrated, Amasty Advanced Permissions has an intuitive backend, so you can start leveraging the extension right after installing it – no complicated customizations are necessary. As for the price of the module, it varies depending on the platform version. The Magento 2 extension costs $229, while the Magento 1 module is $169.